EVERGREEN, COLORADO – A website’s trustworthiness, its credibility and its quality are critical issues today, so far as ranking in search engine results is concerned. It takes years to build a Web empire, right? However, all you need to have it tumbled is one single Panda algorithmic update. The last few search updates by Google have given SEO a new direction, an overhaul of sorts. Today’s SEO is broader, more meaningful and more competitive. Consequently, the roles of an SEO professional have also expanded in many ways. It feels like a new beginning! If you’re still reminiscing about the good old-fashioned ways of ranking at the top of search engines like Google, you need to wake up. It’s about time you broke out of the mold and embraced the latest developments in SEO. Here are seven vital tips or best SEO practices that you should follow to keep your site’s SEO up and kicking in the post-Panda era of Google. Web content has become more time-sensitive than ever. No matter what niche you cater to, you should be able to deliver top-quality content to the target audience on a consistent basis. Search engines like Google want you to keep your customers up-to-date and well-informed all the time. Timeliness carries even more significance when it comes to doing mobile site SEO. Stop cranking out one post after another. 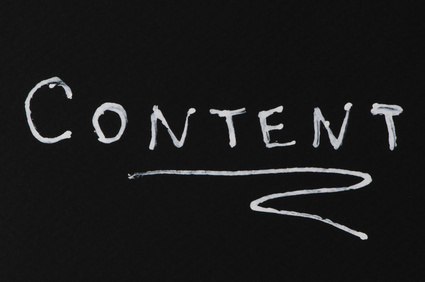 The quality of the content that you create has a major role to play in search rankings. Focus on creating content that can go viral in a matter of minutes. Produce content that can live on the Web for a long time to come, i.e. “evergreen” content. If you think your site contains shallow or low quality content, you should take appropriate steps to fix it immediately. Signals to identify low quality pages include general information, duplicate content and pages without any specific purpose among others. The post-Panda market has enhanced the weightage of content relevance manifolds. Google’s main motto behind rolling out Panda algorithmic updates is to provide users with a top quality search experience. So, try to match your content with the ‘intent of the query’ by focusing on the most relevant keywords in your industry. Affiliate marketing is a surefire way of earning a decent income online. But approaching this technique with your eyes blindfolded can lead to grave consequences as far as the SEO of your site is concerned. If your site’s sole aim is to send visitors to a merchant’s site without offering any real value to the user, it may be tagged as a ‘thin affiliate site’ by Google. There’s nothing bad in being an affiliate if your purpose is to produce valuable content (in the form of product reviews or comparisons). I love to repeat this line – “Variety is the spice of life.” But it’s not just you and I who enjoy variety. Even Google’s crawler or Googlebot expects to find a variety of content on your site. When you produce content in good variety, you send a signal that you are highly focused on pleasing visitors or readers. And make your site worthy of rank. The level of competition in the SEO industry is continuously increasing. Social media provides you with an opportunity to bolster your search optimization strategy and beat out competitors quickly. Whether it’s Facebook, Twitter, Google Plus, or newly rolled out platforms like Pinterest, you need to keep your target audience engaged. It influences rankings! In any case, you should know the etiquette and strictly abide by the terms and conditions of each social platform where you participate. Yes, SEO is social (as you might have heard it). The speed of your website is also among the key factors that affect organic search rankings. A webpage taking too much time to load (as the searcher clicks the link in search results and wants to open it) provides the user with a bad experience. The slow download speed of a site may lead to poor search rankings in Google. That’s why the speed of your site is truly worth looking at. What else are you doing to make your Web properties survive in the post-Panda era? Please feel free to comment. Excellent post, Thanks for sharing this useful information. You share some SEO practices in the post – panda market are much I like them. The same points are I really like that adds the variety of content, the content of the website is unique, add the video, slides, info-graphics, image content and press release, it\’s in the blog is a very helpful factor to suffer from post panda marketing. This post gives contain very helpful martial, so keep it up. Ah, thank you for the tips. In fact, I gained benefits from Google\’s new algorithm. I will comment on only about content. Well, I don\’t believe in that a bit at all, after seeing many web site in Google, without a content and they are ranking #1. Maybe that\’s why I did scrap content from my web site. Can someone please explain why is this? There are millions web sites out there and those web sites has no content at all, and the one with content, has been there #1 in Google for a very long time, still using the same content, I mean they never ever update their content what so ever, not to mention their poor readability score. I mean why this topic always has been mentioned as a one of the most important fact for SEO which is not. And there is no proof of it. Those web sites ranking #1 because they have great solid back links. Nothing to do with content at all. Please prove me if I am wrong. Is Google algorithm makes a mistake to rank those sites with out a content as #1? Bali Discounts as bali travel guide offer a special discounts from food, furniture, activities and many other discounts up to 70% to travelers visiting bali. I have been studying SEO for my blog, but it always fails and can not compete! First, I have a decent blog visitors. Perhaps with the advent of google panda is wearing the new algorithm, my blog so empty of visitors. I have tried various SEO efforts but does not bring results. I almost gave up. Seo tips you will help me to restore my visitors. Thank you very much, Master! Oh, I didn\’t know the loading time affects the ranking!! I see! I wonder it is true for other search engines or not. Thanks for stating this. I\’m gonna give it a think! I\’ve been working on the content, and speed of my jokes blog recently. The study of your article has rather revealed to me the importance of social media. Marketing has always been my weak point. I\’d appreciate it if you could recommend some free software that can help me with social media. The write-up is excellent, by the way. Thanks for enlightening novices like me! Wow! i never missed to read anything post by millionairium, it has a lot of great information. Thanks for this updated news..